I would highly recommend Wired Office for a quick, personalised and professional service. I ordered a new computer and it was delivered 1 hour later. David, you are amazing... and a very genuine and patient guy.... which is rather rare these days. Fee was great value for money Can't recommend you highly enough. All the best. The priority service and can-do attitude gets a 10 out of 10. It's a rare thing these days and we need more of his old fashioned work ethic. Cannot fault him. "David has been our computer guru for the family business for a number of years. 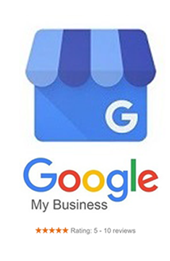 He is thoroughly knowledgeable, contactable, prompt and just incredibly efficient"
David an owner operator not to mention very friendly and helpful. He has a wealth of experience and knowledge. I have been dealing with David for many years and wouldn't trust anyone else. ...this is the best computer service we have used by far. Thank you again. Thank you Wired Office for an efficient and user-friendly computer service. We are happy to participate in the survey. Dave from Wired Office is a senior tech with expert knowledge. And almost always on time! The new PC's are now 4 years old and still going well thanks to quality onsite tech support. 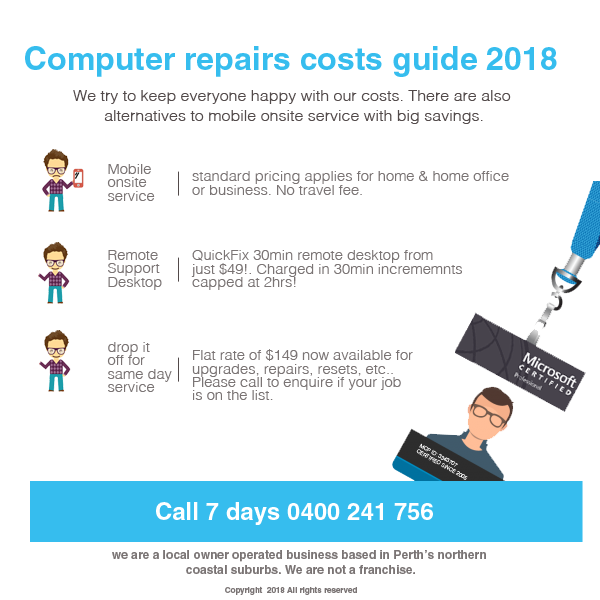 We are one of Perth's oldest established computer support and repair firms in Western Australia servicing the Hillarys area and the entire Perth northern beaches suburbs. We have experience across all brands and models of desktop computers and laptops. Our local service offers a computer technician onsite same day, or you can choose other support options below. Because we are trained and certified by Microsoft you can expect fast resolution of most computer issues and setup of software, best practice backup solutions, set up of security such as antivirus /malware, security analysis for everyday computing to help keep your home or small business at arms distance from scammers. Do you have annoying pop ups or ads pop up from the system tray? We can resolve the most common issues quickly and you might not even require an onsite visit. 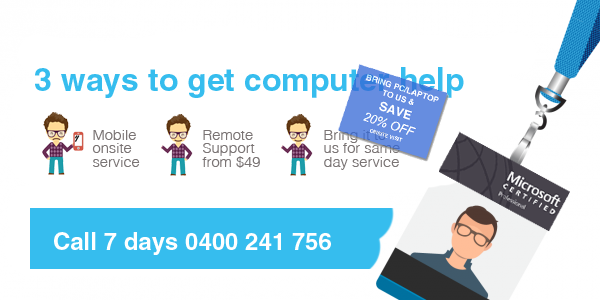 Aside from mobile computer service at your home or office, we can fix many problems and minor annoyances quickly with online remote service - from just $49 for our remote access quickfix 30 minute service. (charged at 30min blocks). Our pricing model is very straightforward, no smoke and mirrors, no hidden charges. For some bigger jobs we offer the peace of mind of capped charges or a fixed rate quote. So you know before. In those rare cases where we might need to take the computer away a flat fee is involved but in this case the fee for coming out is set at $49. Reasonable and fair pricing models keeps everyone happy. Is our remote access safe? - Guaranteed! Our remote computer support service is very easy to use and perfectly safe. We only use standard industry accepted remote access tools. You can see everything we do and your are protected by 256bit endpoint encryption. The password or RSA key changes every time you restart your computer (we can only log in once with the key only you can provide during that session). We also provide same day or overnight standard tech support services in the workshop. Our customers generally appreciate this level of service. It saves them days of doing it all themselves compared to the reasonable support charge.. (The money we save you on the SSD at wholesale goes a way towards covering the support charges!). While we attend to your laptop service you can enjoy a bit of sightseeing at Hillarys Boat Harbour. 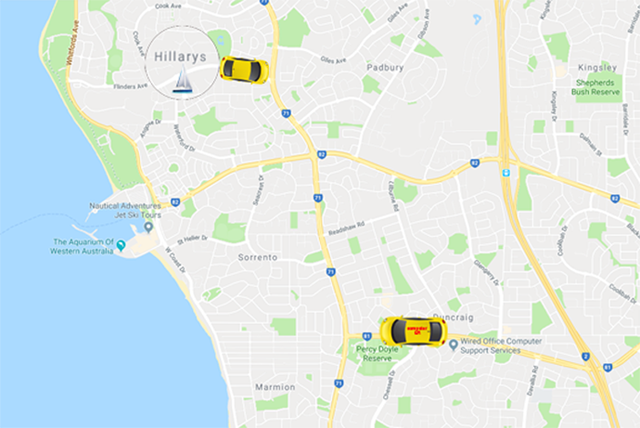 As you can see on the map below we are just a short drive away the Hillarys area, down Beach Road towards the coast. Easy! Make sure to book first in case we are on a callout. For job tickets in the workshop we can offer you a >>FIXED PRICE<< for most jobs. That's regardless of how long it takes. Please enquire if your job qualifies (most jobs do). Tip of the day for Hillarys computer users! There are a lot of home offices in Hillarys, and a lot of very important data at stake. Even family photos are as precious as financial records, emails, client lists and so on. But data safety is often misunderstood. Imagine losing your PhD thesis. Years of work gone in an instant. This actually happened some years ago. School kids and uni students lose valuable work too. It's all because of the mistaken belief that backup equals safe. Microsoft has made some recent changes to the Onedrive cloud app to recover data that was wiped out by a rogue program such as ransomware, malware, virus but it's still not 100% equal to safe. Online storage such as Mybox and Box and other similar cloud apps can be wiped out by malware. Even your external hard drive can be attacked by malware. The reality of backup for safe and secure storage of your precious photos, financial data, emails and documents might not be what you expected! Microsoft Windows image backup is being deprecated in favour of the new File History backup in Windows 10. Like most programs which are being phased out this means they often stop performing well. In windows 10 the image tool is considered a legacy app from Windows 7 and earlier. You wouldn't know it was broken until its time to restore it in an emergency data loss situation. With this knowledge you can start making better informed decisions about backup. We can provide expert advice on best practice backup for your given situation. your laptop or notebook doesn't start - some of the causes can easily be resolved to get you up and running again. in desktop computers we can test the power grid to see if the PSU is faulty causing your PC to not start up. SSD's or solid state drive are transistor driven drives, as apposed to the heat generating spinning platter drives of the past. SSD's are fast and can solve the sluggish performance issues. Startup and shutdowns can take 3-4 seconds instead of the big wait times we are so used to. Bring your PC or laptop for same day upgrade and migration of your data. from now until xmas we are offering to source the best possible price on SSD from local wholesale. No catches or gimmicks. If you are getting your new SSD fitted by us we will send you to buy at best possible price. Our preferred SSD drives have been showing significant savings in recent weeks, but sell out from time to time. So get a move on! Remember to bring your electrical cable with your laptop or notebook! SAME DAY SERVICE DUNCRAIG & PERTH NORTHERN SUBURBS; MOBILE SERVICE. Only useful and helpful articles about your daily computer stuff.